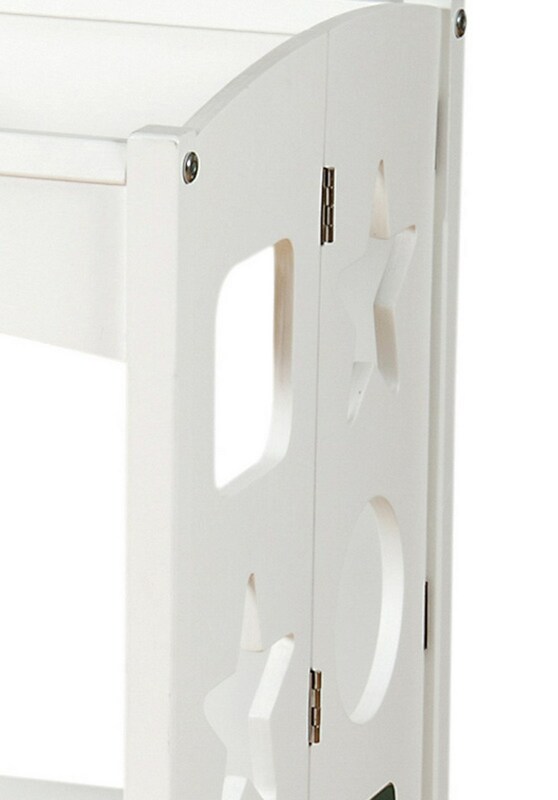 Kitchen Helper/Step Stool - White-by GuideCraft is lightweight, easy to move, fold and store. 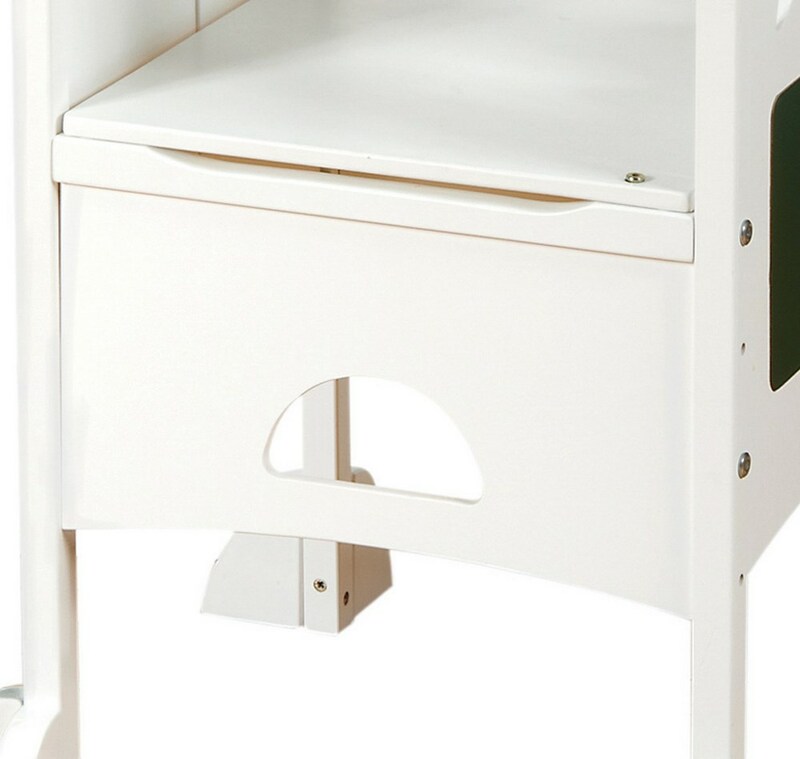 GuideCraft's Kitchen Helper safely and securely elevates children to countertop height. 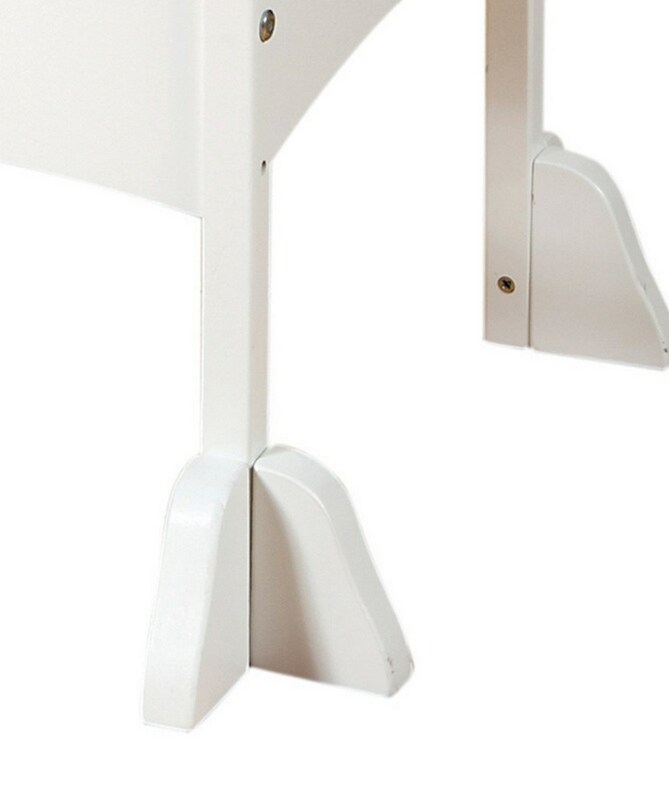 Easily adjusts to three platform heights. Features fun cutouts, wipe-off marker board and chalkboard. Ships fully assembled. Safely supports up to 125 lbs. Shipping: This item will ship from Eagen, MN via UPS within 2-3 business days, depending on where you ship to, please add another 2-6 business days for delivery .